Casting complete. Applications are now closed. If you love teaching dance and inspiring students in a supportive, positive environment, then this is the job for you! 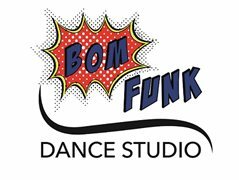 Bom Funk Dance Studio is seeking a highly motivated and passionate dance instructor to join our small team on a full time basis. The role can be adapted to suit the right applicant and the ability to teach a variety of styles is highly desirable. Of particular interest is someone with strong hip hop teaching and choreographic skills (for competition and recreational work). Other styles could include, but are not limited to, Pre-school dance, Jazz, Tap, Ballet, Contemporary, Acrobatics, Song & Dance or Musical Theatre. An ideal applicant would hold their Cert IV in TAE or have an interest in obtaining this. ~Have the ability to implement appropriate behaviour and learning strategies within the classroom for children of all ages and abilities. ~Demonstrate commitment, flexibility, initiative and the ability to work autonomously as well as part of a team. ~Have exceptional work ethic and be highly motivated. ~Communicate and interact effectively with children, parents and other staff. ~Have an interest in continued learning and professional development. ~Have a drivers license and own transport. ~First Aid Certificate is desirable. A working with children check in NSW and ACT is required upon employment and therefore only applicants over 18 years of age may apply. This is a full time position and we are willing to negotiate hours for the right candidate. Remuneration will be based on your qualifications, experience and abilities. · Contact details of three referees. Full time position for 2019, starting mid-late January. Because Casting Professionals are hunting high and low for people just like you, please accept a StarNow membership on us. StarNow is the world’s leading auditions and jobs website with thousands of castings for all ages, looks, and levels of experience. You’ll be joining everyday people looking for fun experiences in the entertainment industry, as well as our community of actors, extras, models, musicians, dancers, stylists, photographers, crew. Your free profile will let you see exactly which jobs are available for people like you in your area. There are new discoveries every day – you could be next!